Make yourself at home at the Hawthorn Suites by Wyndham Columbus West hotel, conveniently located next to Highway 70 and Highway 270 and convenient to the Ohio State University Airport, Nationwide Arena, the Columbus Zoo and Aquarium and the Lifestyle Communities Pavilion. 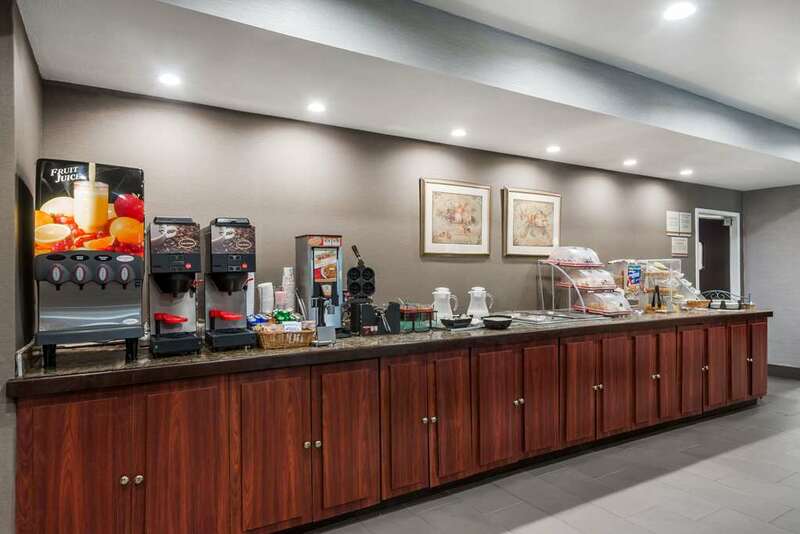 This hotel is perfect for longer stays, with many amenities including complimentary WiFi Internet, complimentary breakfast, laundry and dry-cleaning facilities and parking for all kinds of vehicles. Take care of business needs with fax and printing services, complimentary access to the Internet in the business center and public areas, presentation supplies and conference rooms. When you are not working, take advantage of the indoor pool, fitness center and Social Hour/Manager's Reception, offered Monday thru Wednesday from 5:30pm to 7pm in the lobby area. Pets are welcome at this hotel, and there are several restaurants within walking distance.